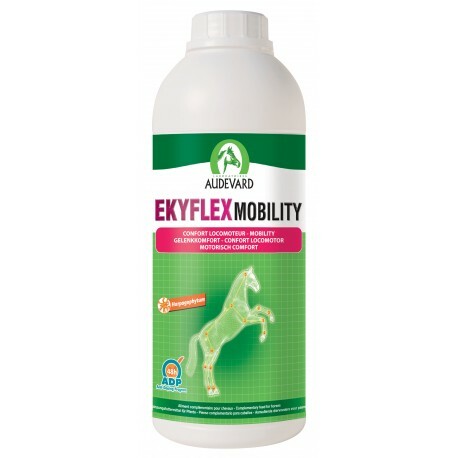 Ekyflex mobility by Audevard is a supplement for horses with musculoskeletal discomfort or stiffness. It contains harpagophytum (devils claw), meadowsweet, hyaluronic acid and vitamin C. Harpagophytum is considered to have a doping effect so this not suitable for horses competing or under doping restrictions. Give 30ml daily for a month or when needed, 1l bottle lasts 33 days.